We always knew that one day we would start a new adventure, one that feeds an innate desire and passion for travel and style after carefully nourishing the idea, designing and encountering the experiences ourselves. Our travel specialist team is finally presenting you with the best journeys across Nepal, Tibet, and Bhutan. Each of our trips is works of art, meticulously planned and crafted. If you yearn for something more than the traditional style of travel, you are in the right place. Bring your family, your friends, your partner, or come solo, and allows us to awaken your senses. Come and experience unique adventures with Himalayan Exploration. We are a group of enthusiasts from diverse cultural backgrounds, united by а passion for travel. With a unique vision to change the face of travel, we encourage creativity and innovation. Today, we design the travel of tomorrow. We are a small, devoted team of professionals working together in Himalayan Exploration. But we are providing customized services according to customer desire, interest and budget as well as very concerned about their satisfaction. Our Travel specialist team committed to delivering the quality of travel, trekking and mountaineering services throughout the Himalayan country of Nepal. 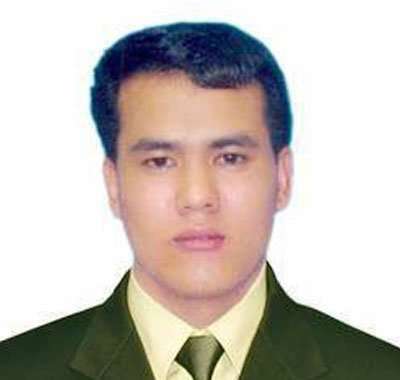 Mr. Kumar Lama was born in the Eastern part of Nepal in Kavrepalanchok district in an ethnic group of Tamang. Kumar Lama has started his career in 1998 while he was the age of 15 has worked as a porter until 2000 with different guides from different agencies. Although he has obtained trekking guide diploma license from Nepal Government, Ministry of Tourism in 2003 and obtained Diploma in Travel and Tourism from the Sunway University of Malaysia in 2008. 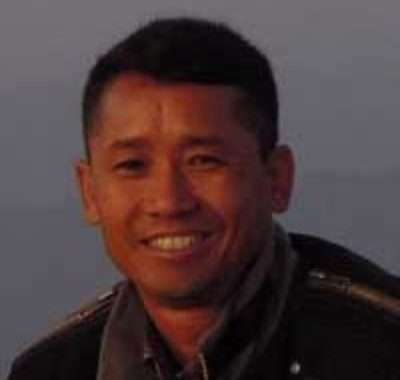 He has more than ten years’ experience in the field of the tourism industry of Nepal, working as a porter, trekking guide as well as a tour coordinator. After achieving this trained and experience, he has established own trekking company namely HIMALAYAN EXPLORATION TREKS PVT. LTD. based in Kathmandu. Himalayan Exploration Treks Pvt. Ltd for the ultimate adventures in Nepal is welcoming you to discover a unique Himalayan Scenic, unspoiled Nature and Cultural Experiences. 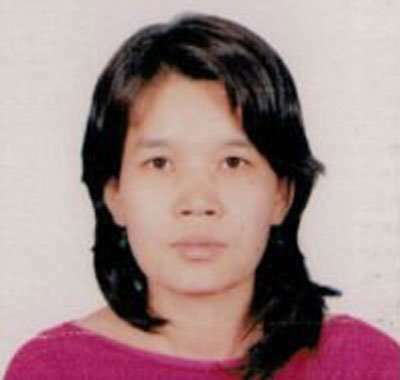 Miss Nawang Dolma Tamang is working in Himalayan Exploration Treks as administrator and finance controller since its establishment. She received a master’s degree in statistic science from the TU of Nepal. Also, she has handled multiple responsibilities to maintain the office accountant, keeping financial records, preparing the budget for tours/treks and paying to bills for agents and staff. She has more than 5 years of professional experience in a modern accounting system. She was born in the eastern part of Nepal in Ramechhap district; a newly explored Indigenous People trail. Miss Tamang is having good knowledge and boundless enthusiasm in the Tourism industry. At the Himalayan Exploration, she is not only working on the account, but she has a good understanding of web-designing and developing also. She reviews all the web contents, edit, and update, emails trading to customers as well as research on new business plans and strategies. Mr. Sanu Babu Tamang was born in Kavre, the eastern part of Nepal. He is very aware of the fragile nature. He is a government authorized trekking guide. And he is a very experienced guide who has been working in tourism since 20 years. 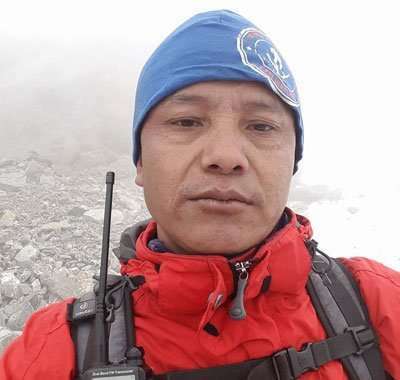 He has led many groups to almost all trekking regions such as Everest, Annapurna, Langtang-Helambu, Dhaulagiri, Dolpo, Ganesh Himal Trek, Makalu Base Camp, Kanchenjunga, as a trekking guide, he always remains focused on the satisfaction of travelers. It requires both pride and pleasure to provide quality service to our customers. His guidance and dedicated services make delight one and all. The personalized services and friendliness are the first choices for all our customers. His kindness and hospitality make your visit in Nepal unforgettable. Besides that, his professional and dedicated approach to the customer, he is highly recommended a guide for the frequent travelers who repeatedly visit in Nepal. Mr. Tamang is the age of 35, the residence of Thulo Parsel, Kavrepalanchok. He has been starting his career as а porter since 1997. He has taken all the necessary training required to be a professional Guide such as guide training, first-aid training, and rock climbing from Nepal Academy of Tourism and Hotel Management (NATHM). Tamang has been working with various trekking agency in Nepal. He involved with Himalayan Exploration Treks since it’s establishment. He is one of the highly qualified as well as sincere trekking guides of the company and handles exclusive trekking/tours in outdoor, as a sideline. Mr. Tamang was involved in this sector for more than 18 years. He always has proficient the company to achieve the lifelong ambition of the clients during the traveling time. And he has been working effectively for the company. He is fluent in English speaking, not only that he also has good communication skill in the French language as well.